Welcome to the 2019 season. 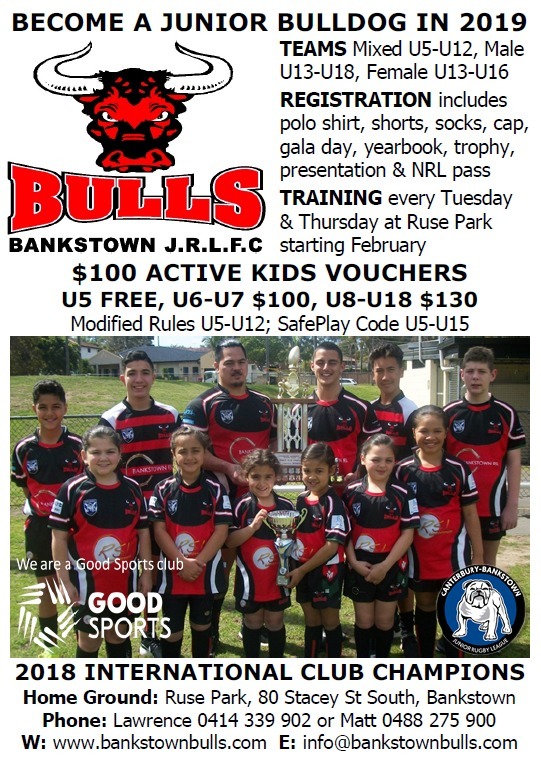 Members can now apply for the 2019 Active Kids Voucher code that will see $100 taken off player registrations at the Bankstown Bulls JRLFC Inc.
Click on http://voucher.bankstownbulls.com to go directly to the Service NSW website to apply for the Voucher code. Have current Medicare Card of the player handy when registering. If you can't obtain a Voucher online please go to your nearest Service NSW Centre location with one located at Bankstown Central near Food Court. 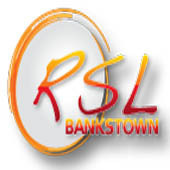 Once you have obtained your Voucher code go to http://rego.bankstownbulls.com to register for the 2019 season or go directly to http://regoplayer.bankstownbulls.com to avoid the instructions and registration benefits. When registering on the Bulls website do NOT change picture. Ensure correct postal address is there for the Bulldogs season pass and correct email address for the PlayNRL season pass. Enter the Voucher Code when registering online via the Bulls website. This will automatically reduce registration fees by $100. If you need assistance with registration please email Sandra & Matt rego@bankstownbulls.com with the voucher code. For Under 8 to Under 18 the remaining $30 can be paid in the pre-season prior to gear handout by cash to Sandra, Matt or Lawrence, by EFT at the canteen or if you need to the direct debit details speak to Lawrence, Matt or Sandra. Any questions or issues please email rego@bankstownbulls.com where Sandra & Matt will provide assistance or send an inbox via our Facebook page. Go to http://2019.bankstownbulls.com for coaches contacts, executive & committee contacts and information about the upcoming season. Go to http://rego.bankstownbulls.com for all registration benefits. 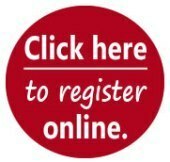 2019 Registration FAQ & Help document - click here. 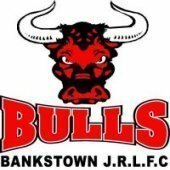 Bankstown Bulls JRLFC Inc is a Level 3 Good Sports Club.